There are numerous hotels and motels available to meet your lodging needs while you are attending a graduation at Fort Sill. The nearest hotels are located in Lawton, Oklahoma. Expiring Soon! For our visitors with this link: Save up to 40% + an extra 10% off with code TAKE10MAR19. Book by 3/31, Travel by 5/5/19. Conveniently located on Interstate 44, the BEST WESTERN PLUS Lawton Hotel & Convention Center is fully equipped with every amenity needed for a comfortable stay. Hotel amenities include a heated indoor pool and two outdoor pools. Guest will also receive a complimentary full hot breakfast every morning. Each guest room includes a refrigerator, microwave and high-speed Internet. Conveniently located off Interstate 44 the Holiday Inn Express Hotel & Suites Lawton-Ft. Sill is just minutes from Fort Sill's Key Gate, local businesses, cultural museums, shopping, downtown and a wide range of restaurants. Our convenient location makes us the perfect hotel for Fort Sill graduations. So when you're looking for the perfect hotel in Lawton, OK, don't forget to Stay Smart at the Holiday Inn Express Lawton-Ft. Sill! Welcome to Homewood Suites by Hilton®, a comfortable and well-connected all-suite hotel in the heart of Lawton, Oklahoma. Relax inside the beautifully decorated suites, fitted with the pleasures of home. Only 4 miles from the Fort Sill Army Base, we're the ideal option if you're visiting a service member or attending a base graduation. Whenever you stay at our pet friendly you're guaranteed a comfortable sleeping space, living area and fully equipped kitchen. Surf the net with internet access or chat on one of two in-room telephones. Work out in the fitness center, host a meeting in an event space, or enjoy a relaxing swim. The outdoor pool is open seasonally from Memorial Day weekend to Labor Day weekend. With a complimentary hot full breakfast each day and our evening social offered Monday through Thursday, our hotel promises a home away from home. Situated in Lawton, this hotel is within a 15-minute walk of Museum of the Great Plains and Comanche National Museum and Cultural Center. Comanche Nation Waterpark and Comanche Nation Casino are also within 2 mi (3 km). Free continental breakfast, free WiFi in public areas, and free self parking are also provided. Other amenities include laundry facilities, a 24-hour front desk, and RV/bus/truck parking. Candlewood Suites Hotel , an exceptional extended stay hotel situated three miles from I-44 in the thriving community of Lawton, OK. 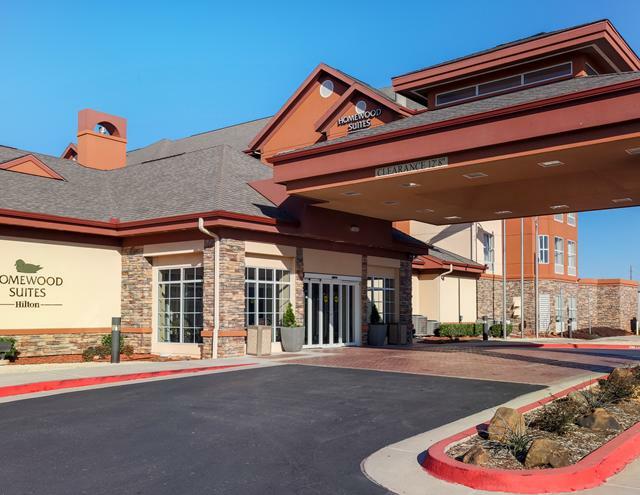 The hotel's location near Fort Sill Army Post, Oklahoma businesses and area attractions assures convenience for corporate guests, vacationers and military personnel alike, and the Wichita Mountains provide a beautiful backdrop. Perks like a 24-hour Business Center and free wired and Wi-Fi access also make business a pleasure for guests working on-site. With military facilities nearby, as well, this is also a smart choice for those seeking hotels near Fort Sill, Oklahoma. So "Consider Us Home" the next time you're in Lawton. With 24-hour amenities like a Fitness Center, free guest laundry and the Candlewood Cupboard, you have all you need on site. Guests even enjoy perks like gas grills and a DVD lending library. We hope to welcome you soon! Just minutes from Fort Sill, the Hilton Garden Inn boasts a fantastic location in the heart of Lawton – Fort Sill. Numerous businesses, shopping outlets, restaurants and entertainment options can be easily reached from our modern hotel. Popular attractions nearby include Central Mall, the Convention Center, the Museum of the Great Plains and Wichita Mountains Wildlife Refuge and Holy City. Enjoy connectivity to the airport with our complimentary shuttle service. Feel at home in a stylish guest room, featuring a comfortable bed, a microwave and mini-refrigerator, an HDTV, a large, ergonomic desk and complimentary WiFi. Upgrade to a spacious suite for a separate living area with a pull-out sofa bed. Welcome to the Super 8 Lawton, OK. We are conveniently located off Hwy 277 and I-44. 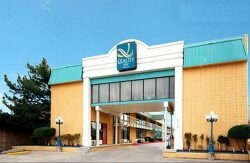 The Motel has many restaurants, attractions and shopping nearby. Our friendly staff is waiting to accommodate your lodging needs. We provide complimentary SuperStart breakfast, Free High Speed Internet, Outdoor Pool, and many more in room amenities. We look forward to seeing you at the Super 8 of Lawton, your home away from home. At Motel 6 we welcome our guests 24 hours a day with a comfortable, pet friendly environment at the lowest rates of any national chain. Relax and enjoy WiFi in all rooms for a nominal fee. Newly renovated property with the business and leisure traveler in mind. New additions include a delicious breakfast. Free wireless high-speed Internet access. Free coffee. Free local calls. Indoor heated pool. All spacious rooms at this Lawton, Oklahoma hotel come equipped with hair dryers, coffee makers and premium cable television with free HBO. Some rooms feature microwaves, refrigerators and whirlpool bathtubs. Irons and ironing boards are available upon request. This is a pet-friendly hotel; additional fees apply. Make your reservations with us today. 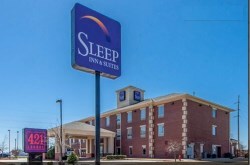 The new Sleep Inn & Suites Lawton, Oklahoma is located just four miles south of Ft. Sill. Free transportation is provided to Lawton-Fort Sill Regional Airport, Fort Sill, and nearby businesses, restaurants and casinos. All well-appointed guest rooms at this smoke-free hotel have microwaves, refrigerators, coffee makers, hair dryers, irons and ironing boards. Select rooms also have spacious work desks, curved shower rods and sofa sleepers. Connecting rooms are offered. For added convenience, we are a pet-friendly hotel; fees apply. Whether traveling for business or pleasure Lawton's newest all suites hotel - The Comfort Suites- is a great choice. Free continental breakfast & free coffee. Free wireless high-speed Internet access. Free USA Today newspaper. Free local calls. Indoor heated pool. 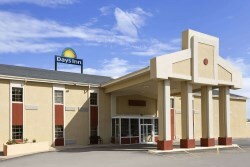 Baymont Inn and Suites-Lawton has the right accommodations for you. 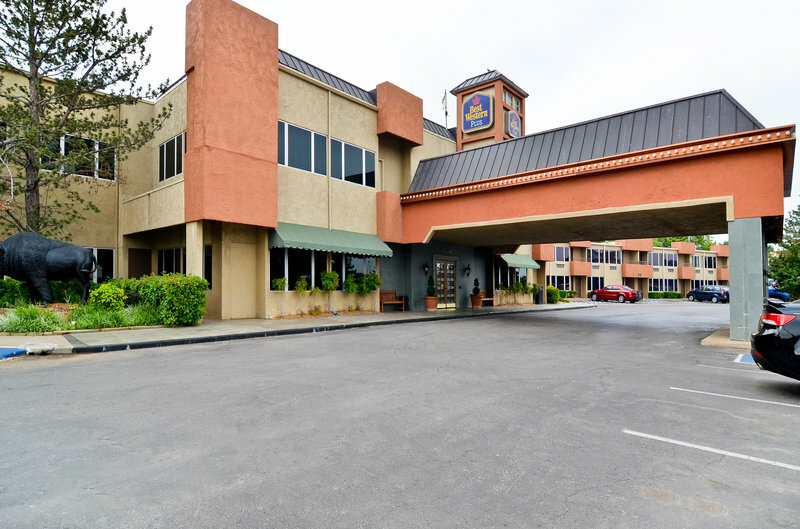 A non- smoking Hotel offering free high speed internet and microwave/fridge in all rooms, an indoor heated pool, business center, exercise room, guest laundry room, free hot breakfast, and fresh baked cookies in the evening. Just minutes from Ft. Sill. Convenient to shopping, restaurants, Wichita Wildlife Refuge, Holy City and other area attractions. Make the Baymont Inn and Suites Lawton Your Home Away from Home. We now accept pets for a fee of 15.00 USD per night. Must be 18 years of age to check in. 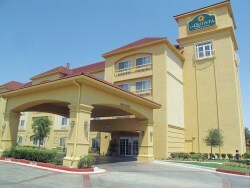 La Quinta Inn & Suites Lawton is located in the midtown area of Lawton. Recreational amenities include an indoor pool, a spa tub, and a fitness facility. Complimentary wireless and wired high speed Internet access is available in public areas. The hotel serves a complimentary continental breakfast. Browse prices and select from all available Hotels in Lawton, OK United States from Priceline. Priceline offers you an opportunity to save additional dollars. Well worth your time to see what Priceline has to offer you for hotels near Fort Sill.